Antoine Matarasso together with Glen Duffy, therapists at Brisbane Hypnosis Clinic developed the “stop or control” program 16 years ago in response to clients need to moderate their alcohol consumption or to stop drinking. Taking Control, a pioneering program in the hypnotherapy field in Australia is widely seen as one the most consistently successful program of its kind. Antoine has widely trained hypnotherapists, counsellors and psychologists in the program’s unique and proven techniques. A more common form of alcohol misuse in Australia is the daily consumption of alcohol. 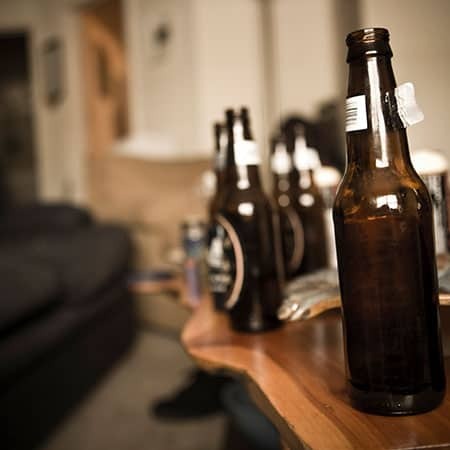 Many clients who undertake our Taking Control drinking program do so because they drink on a daily basis and are concerned of the effect that continued alcohol consumption may have on their health as well as their social and professional lives. In effect, they sense a lack of control over their drinking and this may be due to emotional issues, stress or simply habitual behaviour. Taking Control program is personalised, changes your drinking patterns as well as your desire to drink while stopping binge drinking. The program combines hypnotherapy, cognitive-behavioural change therapy and NLP and over the past 16 years has proved to be life changing for many participants. Our clients report feeling in control, healthier, more confident and fitter after completing the program. If you binge drink or feel that you are consuming more alcohol than you’d like or that your drinking is causing you concern, be assured that our “stop or control” drinking program will get you back on track. The Brisbane Hypnosis Clinic Taking Control program includes one-on-one hypnotherapy sessions, a personalised plan for change and self-hypnosis CDs / MP3s to use between sessions. To make an appointment and regain control call Brisbane Hypnosis Clinic / New Farm Hypnotherapy on 07 3254 1373, complete the form below or email appointments@brisbanehypnosisclinic.com.au. If you’d like to know more call and speak to one of our hypnotherapists who will explain how Taking Control can be personalised for you. For healthy men and women, drinking no more than two standard drinks on any day reduces your risk of harm from alcohol-related disease or injury over a lifetime. Drinking no more than four standard drinks on a single occasion reduces the risk of alcohol-related injury arising from that occasion. A standard drink contains 10 grams of pure alcohol. It is important to note that drink serving sizes are often more than one standard drink. There are no common glass sizes used in Australia. If you have questions or would like more information about how we can help you moderate or stop drinking, please call us on 07 3254 1373, email appointments@brisbanehypnosisclinic.com.au or simply fill in the form below.